I promised I would post a snippet of my next novel, tentatively titled Fire on the Mississippi. It is the sequel to my first novel, >From the Darkness Risen. If you have not read that novel yet, I should warn you that this snippet contains major spoiler alerts. If you don’t want to know what happened in the first novel until you actually read it, then you had better not read the snippet of the second novel. You can purchase From the Darkness Risen by going to online retailers such as Amazon.com, BarnesandNoble.com, Lulu.com, iTunes, etc., and searching for my name – Jessica Jewett. Amazon sells both paperback and Kindle versions of the novel. iTunes sells a digital version compatible with iPads, iPhones, and iPod touches. Lulu sells paperback and PDF ebook versions. So here is the preview of Fire on the Mississippi. Keep in mind that it will be edited before it is published. Mrs. Thaddeus Grimm resigned herself to the life of an invalid, despite her valiant effort to lead a normal life. She sat in the attic of her new home staring at the two crates of Christmas decorations that needed to be carried down the narrow back staircase and debated the best course of action. She had managed to climb the stairs with her crutch under one arm and a hand braced against the wall, but she had not thought her plan through. It would require at least six arms to descend the stairs with the two crates. Eva gave up and slumped into a wobbly old chair by the window, feeling utterly sorry for herself. “Merry Christmas, indeed,” she muttered under her breath. Underneath the layers of her heavy wool and silk skirt, hoops and petticoats, the partial leg remaining attached to her body dangled without a foot to support her weight. She considered the entire limb a dead useless weight, a foreign creature that betrayed the rest of her body. Occasionally, she saw a soldier on the street with a missing arm or a missing leg and her eyes softened toward them, though shifted to iciness as soon as they passed. Her foot had been sacrificed to save her best friend’s husband but she saw none of the honor that wounded soldiers received. Only pity. The muffled bass of Thaddeus’ voice reverberated from the lowest level in their modest home. At least he could help her, she thought woefully. Despondency deepened the more she felt backed into the corner of depending on her husband for help. It was her duty to be the wife and care for him, or manage the servants in that care, if they had any. “Evie!” he called once more. “In the attic!” she answered. The sound of his boots creaking the floorboards comforted Eva in ways she did not yet know how to express as a newlywed. Thaddeus appeared, hunched and rubbing his hands together to spark the friction of heat in the cold attic. “What are you doing up here by yourself?” he questioned, concern in his voice matching the concern in his eyes. His eye passed between the crates and Eva. Thoughtfully, he crouched before her and kissed her forehead. “We shall do it together then,” he said as he lifted the hem of her skirt. “How is your leg? Did you injure yourself?” With the swift care of a physician rather than a professor, he held the mutilated limb in a light grasp and peered at it through the silk stocking. “Thaddeus, I’m fine.” Eva averted her eyes. “It doesn’t hurt that much,” Eva protested. It wounded her heart to lie to her husband but old habits were not easily broken. Sometimes she did it compulsively without understanding why other than her old desire for self-preservation, not that she viewed her husband as a threat. She had no desire to appear weak. “I shall handle it,” he said just as quickly, as if predicting the steps of a conversation played out many times before then. Eva’s eyes welled in frustration. Her defenses fell enough to bury her face in his neck as she sought the silent comfort of a wife from her husband. It simply was not right for Thaddeus to be forced into donning an apron and struggling in the kitchen because he married a woman who got her leg shot off in a prison escape instead of being a proper Carolina lady. The fire he loved in her had been put out the day she woke without her foot, she feared. Thaddeus never complained about playing the role of husband and wife while she grew accustomed to her immobilized existence. He placed her on the green velvet sofa, specifically chosen for the softness and overstuffed cushions. He lifted her legs and placed pillows underneath them, and then smoothed out her skirt, as if he understood that appearances still mattered to her even after everything. She knew she did nothing to deserve him but without him, she would never have survived. “Tea?” he asked in routine. He sat on the edge of the sofa and bent to kiss her lips. Ever tender and receptive of her moods, he sandwiched her hand between his own and studied her for a long moment. “It’s simply going to take time,” he offered. “I know,” she replied with a nod. He left the room and Eva heard the plates and cups clatter in the wash basin in the kitchen. Sighing, she leaned back on the sofa cushion and stared at the plaster and wallpapered ceiling. She had spent quite a lot of time admiring the deep green geometric edging around the ceiling in her time convalescing there on the sofa. She understood Thaddeus’ fears but she could not coddle those fears, otherwise he would drive himself mad. It was for his own good. In time, he would grow accustomed to her life as an invalid just as she had to grow accustomed to it. It was a far cry from her upbringing in South Carolina and she never envisioned herself being a professor’s wife in Missouri. Her mother had always planned for her to marry one of her father’s physician colleagues and her life would continue in the beautiful bubble of safety and comfort that was Charleston. A mansion on the Battery, perhaps a plantation in the country, and every household amenity provided by the Negroes she would have certainly inherited from her father. Life pulled Eva away from her best laid plans and placed her in the hands of the thoughtful scholar, Thaddeus Grimm. 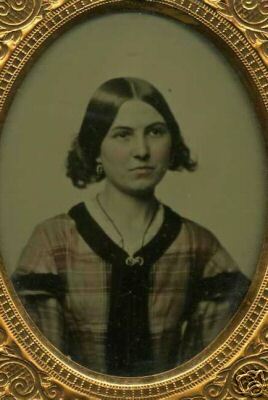 Had she not followed Isabelle to St. Louis to smuggle her husband out of a Union army prison, she would never have met Thaddeus and she undoubtedly would not have stayed in St. Louis. Marrying him threw so many lives into disarray. She broke off an existing engagement and she never even told her family until she was already married. A series of berating letters followed from her parents, who had placed all of their hopes in her after her brother was killed in the war. She refused to back down and after a month of silence, her parents slowly came around, albeit with pleas for them to abandon Missouri and establish a life in South Carolina, where she belonged, they said. She knew Thaddeus would never be welcomed in Southern universities as long as the violent sectionalism existed in the country, though. He was her provider and she understood that her duty was to go wherever he could provide. Generations of Southern women understood their duties toward their husbands — to allow them the belief of control while providing a livelihood, yet a real Southern lady found ways to make decisions for the betterment of her family. Eva did not have children. That was always Isabelle’s area of expertise. So much like sisters, Eva and Isabelle could not be more opposites, but then again, marriage had cooled much of Eva’s rebellion and she understood her friend in a new light. Isabelle had risked her life to save her husband from almost certain death in a military prison, which was something Eva failed to comprehend at the time, but when she looked at Thaddeus, she knew there was nothing she wouldn’t do to protect his life. She admired Isabelle in new ways that she never thought possible. She missed their closeness, especially after she took Robert back to Carolina to convalesce from his own gunshot wounds. Nightmares still plagued Eva from that night in Alton, just across the river from where she sat. Isabelle had been arrested and put into the same prison as Robert, leaving Eva to care for their son, Willie. She blamed herself for the arrest, having told a Union officer that Isabelle was doing espionage against the government. She thought they would banish Isabelle from St. Louis and they could go back to their own country, but they arrested her instead. When the opportunity came, Eva and Thaddeus stole a boat and sneaked across the Mississippi in the middle of the night. Guards discovered the escape before they got away and as Eva ran for her life to the boat, she was shot. She felt her ankle explode and the hell of her life took hold at that moment. Thaddeus made the decision to allow the surgeon to amputate above the ankle; otherwise she would have bled to death or succumbed to gangrene in a matter of weeks. He did his best to conceal it but Eva saw flickers of guilt in his eyes at times when he wrapped what was left of her leg, or helped her walk, or anything else she could not do for herself. Their home was not nearly the ostentatious three-story Italianate structure in which she had grown up on East Battery, but it was their home, and she adored the freedom of deciding how to furnish it and who to invite for supper. The brick structure stood two stories high on a modest street near St. Louis University so that Thaddeus could walk to and from his classes and save money on paying for a horse. Small, yes, the house was small compared to what she was used to but there was enough room for a baby if one ever came along. Occasionally, the girlish dreams of a prosperous life crept into Eva’s thoughts again. Sometimes it happened when she watched Thaddeus shovel out the chicken coop or when she noticed the roof leaking when it rained. She dare not go to the shopping district and observe ladies buying all the finery she used to buy without a flutter of a second thought. All of the fashionable St. Louisans lived in the private neighborhood Lucas Place on the western edge of the city or in the newly established neighborhood of Lafayette Square. Tree lined streets with large, comfortable Italianate, Federal and Greek Revival homes greeted her whenever she caught a glimpse. The ache for home pulled her heart into a dark place but the love she felt for her husband washed the darkness with light not so easily forgotten. Lucas Place would have to wait. Her mother began with her father living the life of a simple country doctor and rose through the ranks of society until they reached the crème of Charleston because of how hard he worked. If her mother could endure the thinner years faithfully, then certainly she must as well. It was her duty and duty felt much easier to fulfill when the result was seeing the smile on his face. Eva pushed herself up from the sofa and braced herself on pieces of furniture that she hobbled passed to reach her crutches against the wall. Her amputated limb ached and felt tight inside the stocking but she slowly learned more each week about enduring pain without complaint. The intermittent thump of her crutches hitting the floorboards as she made her way to the back of the house followed her like a foreign pair of legs. In the kitchen doorway, she waited a moment thinking surely Thaddeus had heard her approach. He leaned over a pot and studiously turned a wooden spoon through the liquid but he didn’t move otherwise. She hobbled into the room and leaned against the wooden table in the center of the room. “I wanted to be with you,” Eva replied in a meek, sweet voice that sometimes possessed her when the way he looked at her struck her heart. With a subtle smile, Thaddeus left the pot to simmer and faced Eva, linking his arms around her waist. A sigh passed through her body. As happy as she was with the choice she made for a husband, she could never seem to shade the black void of foreboding that festered deep inside of her. And so it was, Eva thought. The curtain fell once more on her ability to lead a normal life.